Eugen Klein Lilac Skirt 3921. 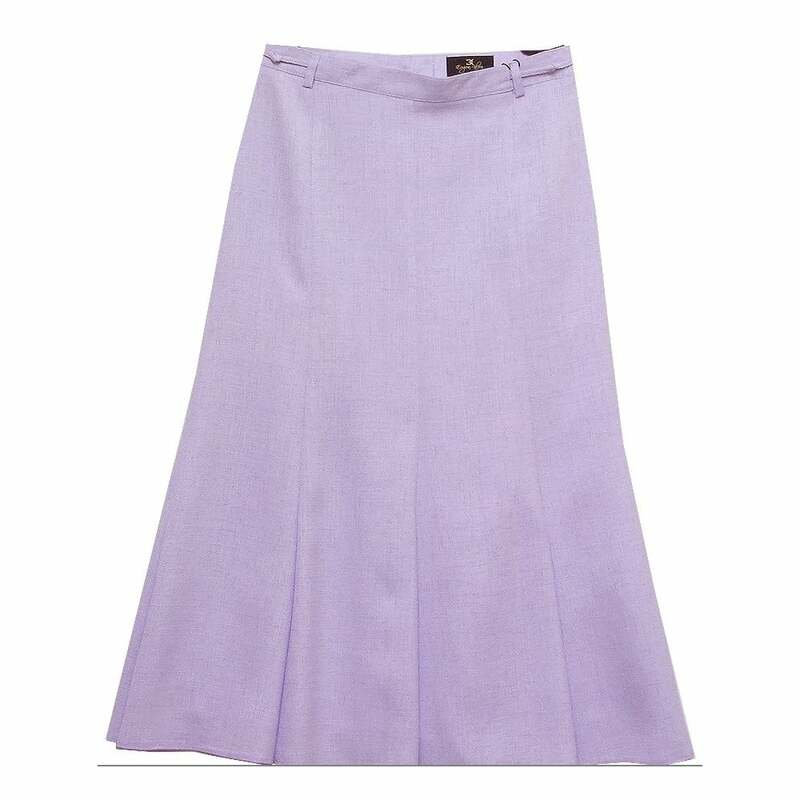 Mid length skirt, eight panel construction with fluted hem, elasticated waist band with belt loops, zip and button rear fastening, in a lilac micro-fiber, lilac lining. 100 percent micro-fibre shell, 55 percent acetate 45 percent viscose lining.